The Transfer Station is located at 1150 3rd Avenue in Longview and accepts waste generated within any county. Waste Control accepts all putrescible and non-putrescible waste, including, but not limited to, residential, construction, demolition and land clearing (CDL) waste, non-hazardous industrial waste, inert waste, sewage treatment plant grit, leaves, and sharps. 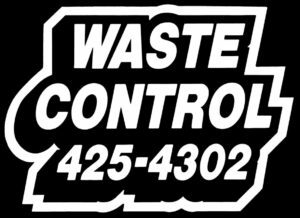 Waste Control does not accept material defined under federal or state laws as Hazardous or Dangerous Waste, except for exempted household hazardous waste and conditionally exempt small quantity generators. Refer to the Household Hazardous Waste Collection Program or the Conditionally Exempt Small Quantity Generator Program for more information. If you have any questions about unacceptable waste, please contact Waste Control at (360) 425-4302.